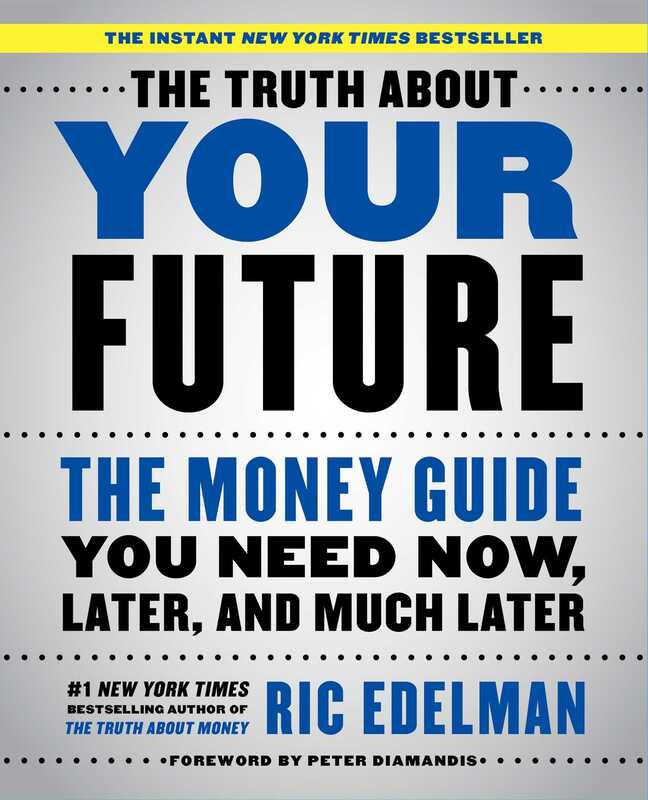 The instant New York Times bestseller from legendary investment guru Ric Edelman, who presents a prescient personal finance guide on how technology and science will reshape the way we save, invest, and plan for the future. 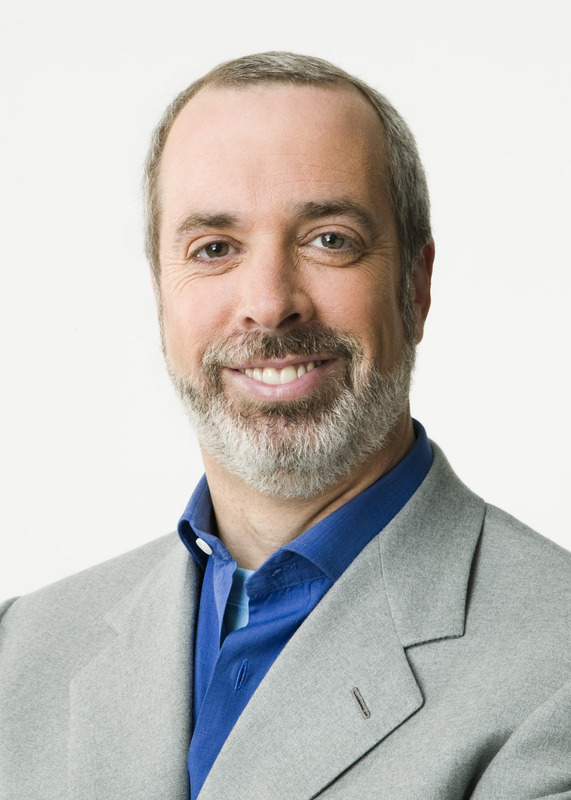 In The Truth About Your Future, award-winning financial advisor Ric Edelman reveals how technology and science are evolving at a blistering, almost incomprehensible pace—with profound implications for your personal finances. Ric radically upends traditional financial planning, showing that you need not just one financial plan, but three—one for now, one for later and one for much later. He explains: Why you’re likely to live much longer—and the impact on your financial future; how you must alter your plans to shift from the familiar linear lifeline (school-job-retirement-death) to the new cyclical lifeline; the importance of Career Planning—even if you’re in your fifties or sixties; how to invest in tech companies and how to generate income from your investments; why nursing homes are becoming obsolete—and with them, long-term care insurance policies, and what this means for you; how to protect your digital assets; and how you’ll spend your time—and money—in retirement, and why the future will be the happiest time of your life. The traditional paradigms of how we live, learn, and invest are shifting under our feet. Fortunately, Ric Edelman has seen the future, and in The Truth About Your Future he illustrates how smart investors can adapt and thrive in today’s changing marketplace. Newcomers and loyal Edelman followers alike will find value in his proven advice and trademark humor. This is a must-have guide for anyone serious about successfully adapting to the ever-evolving financial landscape. I couldn’t wait until I got my driver’s license! Having a car (or, rather, borrowing my mom’s) meant I was able to get to the mall, to my friend Peter’s house, to anywhere my friends would be hanging out. Having a car meant being connected, and being connected was vital for a teenager. It still is. But it no longer takes an automobile to do it. Today we connect online, and physical proximity is no longer relevant. It’s no surprise, therefore, that today’s youths are less dependent on automobiles. According to the University of Michigan Transportation Research Institute, nearly half of 18- to 24-year-olds say they would choose having Internet access over owning a car. 95% of American teenagers have a mobile phone, according to Popular Mechanics. 71% of them are on Facebook, and 24% say they are online “almost constantly.” 72% text with their boyfriends or girlfriends every day; only 21% see them in person. Half of all teens have 300 or more friends on Facebook—and 33% of them are people they’ve never met in person. Connectivity turns even the mundane into a marvel. Consider pizza, one of the world’s most popular foods. It’s also one of its oldest and to a large extent is still made the way it’s been made for centuries. But the way it’s sold is changing rapidly. Domino’s, for example, lets you order a pizza via voice command while driving a Ford Fiesta. Using GPS technology, the store knows where you are and can calculate how long it will take you to get home—so the pizza arrives when you do. Not to be outdone, Pizza Hut lets gamers order pizzas while playing with an Xbox—no need to interrupt the game merely to manage your munchies. Both companies say half their orders arrive digitally, and both say their IT departments are the fastest-growing divisions in their businesses. • Facebook was able to become huge. That’s where people are for two minutes out of every seven that they’re online. • 30 billion messages were sent using WhatsApp in 2015. • YouTube’s 1 billion users view 4 billion videos every day and upload 300 hours of video every minute. • Google generates more revenue than all newspapers and magazines combined. YouTube, iTunes and Netflix each generates more revenue than the AMC cable network. © 2016 KFS King Features Syndicate, Inc.
And much of this connectivity is being done via mobile devices. Nine in 10 Americans have a mobile phone, and there are now more mobile devices connected to the Internet than desktop computers. In fact, according to the Mobile Marketing Association, there are now more mobile phones on the planet than there are toothbrushes—and, unlike toothbrushes, more than 90% of smartphone users keep their phones within arm’s reach 24/7. Lots of people are already using their phones to make purchases—and I don’t just mean by ordering products using Amazon’s mobile app. At Cheesecake Factory and other restaurants, your order appears on an app, and you can pay the bill whenever you want—even splitting it with others dining with you—without having to wait for the server to bring the check. The Sweetgreen restaurant chain won’t even let you pay with cash; you must use an electronic form of payment. Android Pay is accepted at more than 1 million stores, Samsung Pay can be used at swipe-only terminals, and Apple Pay can be used with credit cards from 1,300 card issuers. Chase, Capital One, and Walmart are among those launching ways to make it easier for you to pay your bills. In 2015, 45% of all online purchases made in the United States were done via a mobile device, according to Demandware. Soon, though, it won’t be our telephones that connect us to the Internet—it’ll be our clothing. Researchers are developing clothes that kill bacteria, trap toxic gases, conduct electricity, block ultraviolet rays, measure our heart rate, analyze our sweat, monitor brain signals, heat or cool our skin—and let us talk to each other. Soon you won’t even need clothing to help you track your fitness. Companies are creating “tech tats,” high-tech tattoos made of conductive paint that collect, store, send and receive data. Known as “biowearables,” this technology will do more than serve as a fitness tracker. It could monitor vital signs after surgery, let you pay a bill with the swipe of your hand or, as in the case of wearable electronic tattoos being developed by Motorola and MC10, provide password authentication. Sales of connected wearables were $11 billion in 2014 and are projected to be $40 billion by 2019, according to IHS Markit. It’s one thing to connect people to the Internet; it’s quite another to connect the things people use. And that’s a problem, because the Internet is running out of capacity. Today’s platform can handle only 4.9 billion devices. Considering that 3 billion people are already connected to the Internet (many with more than one device—the number of mobile devices is about to outpace the number of people on the planet), it’s obvious that we’re running out of room. That’s why a new platform is being launched in 2020. It will have the capacity to handle 78 octillion devices—that’s 78 billion billion billion devices. In other words, every grain of sand on earth could have 1 trillion IP addresses. That will move us to the next phase of connectivity, to what is being called IoT—the Internet of Things. Everything that operates with electricity will be connected to the Internet, as will a great many things that don’t use electricity, such as food. In 2015, only 4 billion devices were connected to the Internet. By 2020, there will be 50 billion, and by 2030 there will be 1 trillion. We’re just 1% of the way there. As exciting as mobile connectivity is, that’s nothing compared to two other emerging exponential technologies: virtual reality and augmented reality. VR goggles cover your eyes, making you feel as though you’re immersed in a different universe. You can explore maps of the brain’s neurons, check out your favorite retailer’s latest products or roam forests where you can fight dragons with virtual weapons. By 2020, according to Fortune magazine, virtual reality devices will let car buyers test-drive vehicles, doctors practice surgical procedures, military procurement officers evaluate defense system capabilities, cruise ships let you see what a vacation experience would be, hotels let travelers visit their properties without actually having to go there and architects take you on tours of buildings before they are constructed. Those who’ve used VR complain that the goggles are bulky. And when you’re using them, you can see only the alternative reality being displayed; you’re unaware of your actual surroundings. That limits the devices’ practicality. These problems are solved by an even more fascinating technology, called augmented reality. AR doesn’t require you to wear headgear; instead you just aim your smartphone or tablet’s camera (and, in the future, your eyewear) toward an object. Instantly a display pops up, providing you with details about whatever you’re looking at. While watching a ball game, point your phone’s camera at anyone on the field—and it will reveal the player’s name, key performance statistics and video highlights. Tourists will be able to point their phone at a famous landmark and instantly receive information about the site. Surgeons will be able to use the devices to see arteries invisible to the naked eye. In 2017, 2.5 billion AR apps will be downloaded onto smartphones worldwide. The most famous so far was launched in 2016: the game Pokémon Go. You simply look at the image shown by your phone’s camera; while doing so, Pokémon characters appear on your screen as though they really exist. The goal of the game is to capture as many characters as possible. But first you have to find them—and that means walking around, not just in your house but throughout your neighborhood, even traveling to other cities. Parents who lament that their video game–playing kids get no exercise are relieved that this game requires outdoor physical activity. Because Pokémon Go was the first widely available consumer AR application, it’s worth taking a closer look at it. There are 7 billion people in the world, and few gave any thought to augmented reality until July 6, 2016, when the game was released. Within weeks, more than 75 million people worldwide were playing it—making it the most downloaded app in history. Financially speaking, the immediate beneficiaries were Nintendo, Niantic (the game’s creator) and Apple (which gets 30% of the revenue collected by the game through its App Store). The investment banking firm Needham & Company estimated that Pokémon Go could generate $3 billion in revenue for Apple alone by 2018. PEARLS BEFORE SWINE ©2016 Stephan Pastis. Reprinted by permission of UNIVERSAL UCLICK. All rights reserved. Businesses and entrepreneurs raced to exploit the game’s popularity. Bars, restaurants, retail stores and businesses of all kinds quickly encountered Pokémon-searching consumers looking for the creatures. L’inizio Pizza Bar in Queens, New York, set itself up as a place where Pokémon could be found and told Bloomberg News that its food and drink sales had risen 30% thanks to increased customer traffic. In Iceland, a tour bus company offered Pokémon Go hunting trips. A French furniture store offered a Pokémon Go promotion at 200 stores, while the yogurt retailer Stonyfield Farm placed ads near 10,000 Pokéstops to promote its brand. Pokémon Go has inspired baby names. Babycenter.com says names such as Eevee, Onyx and Ash—all names of characters—rose after the game was introduced. It says half of the moms visiting its site say they play the game. Major companies got involved, too. Sberbank, the biggest bank in Russia, arranged for its branches to attract Pokémon players. In Japan, McDonald’s converted 400 outlets into Pokémon “gyms” so users could battle one another on their smartphones. The Jacksonville Jaguars professional football team staged a Pokémon Go promotion that attracted 15,000 people. And on the 2016 campaign trail, both political parties staged Pokémon Go events to register people to vote. The game produced some negative side effects, however. Player enthusiasm led many to violate codes of social behavior. The Arlington National Cemetery released a statement asking players to stay away. “We do not consider playing ‘Pokémon Go’ to be appropriate decorum on the grounds of ANC,” cemetery officials said. The U.S. Holocaust Museum asked to have itself removed as a game site, as did the Auschwitz Museum in Poland, a cemetery in Edmonton, and many churches, mosques and synagogues worldwide. • A 28-year-old in New York crashed his car into a tree while playing the game. • A 15-year-old in Pennsylvania playing the game was hit by a car after walking into traffic. • San Diego firefighters had to rescue two men who walked off a cliff while trying to catch Pokémon characters. • A search-and-rescue team found a group of teenagers in the United Kingdom who got lost in a cave. • Two Canadian teens unwittingly crossed the border and were detained by the U.S. Border Patrol. • A man trying to sneak into the Stockholm Olympic Stadium to catch a Pokémon impaled himself on a metal fence. • A Baltimore driver crashed into a police car while playing Pokémon Go while driving. • A woman in Japan was struck and killed by a car whose driver told police that he hadn’t been watching the road because he was playing Pokémon Go. There are thousands more stories of errant, rude and just plain stupid behavior by some of the game’s players. Prior to Pokémon Go, few consumers had ever heard of augmented reality, fewer understood it and virtually none had ever seen it. But within a very short time, more than 100 million people took a major step forward with a leading technology, whose rate of growth and market penetration can only be called . . . exponential. Jimmy Kimmel has already had performers appear on his television show in digital format (holograms), and the comedians Redd Foxx and Andy Kaufman toured in 2016 the same way—even though they’re both dead. You can expect the innovations to continue—including 3D avatars performing in your living room, where your perspective on the movie you’re watching will depend on where in the room you’re sitting or standing. And this is just the beginning. All told, a 2013 report by Cisco predicts that the Internet of Things will add $14 trillion to the global economy by 2025. 1. Increased use of mobile devices to make purchases increases the importance of selecting the right credit and debit cards (since you can’t use cash or checks online). Comparative shopping for cards has never been more important. 2. Massive growth in wearables, connectivity and the Internet of Things will create huge investment opportunities. We’ll learn more about this in chapter 17. 3. AR, VR and holograms could eliminate the need for business travel. It would save you and your employer money—but have huge implications for the travel and hospitality industries. 4. AI will improve the analytical tools we use in financial planning. Better modeling capabilities will let us produce more accurate financial planning projections and better portfolio management systems. 5. The constant flow of new devices and applications into the marketplace makes it difficult to stay up to date. This can put non-tech-savvy consumers at a disadvantage when making financial decisions. 6. Increased connectivity could result in more volatility in the financial markets, as more and more people get the ability to trade their accounts with just a few taps on their phones. Be prepared for even greater volatility in your portfolio—and don’t let it scare you into buying or selling frantically.